Video surveillance around the home is one of the most effective home security measures for capturing culprits in a home invasion. It’s safe to assume however, that someone actually planning a home invasion would be on the lookout for security cameras. That’s where hidden cameras become paramount to your home security. For outdoor cameras this is a little tricky, but things like dummy cameras or obvious cameras can actually discourage someone from actually attempting to break-in in the first place. Inside cameras are a little different. Not only are indoor cameras great for capturing a home invasion, they also work great for making sure everything is running smooth in your house while you’re away. If someone is aware a camera is recording them, it’s easy to simply avoid the camera. Thus, hiding even indoor cameras is pretty important. A hidden camera won’t be much use if it’s obviously something out of place wherever you place it. If you have a teddy bear hidden camera in the living room for example, someone will probably suspect that they’re being recorded. So before you get started with hiding cameras around the house, you should know the different types of stealthy cameras. Nanny cams are going to be your pre-made security cameras, which are basically designed to capture your babysitter while you’re away from home. Usually, or at least when they were first becoming popular, these cameras store video onto a local storage device. Then once the babysitter leaves, you review the footage and make sure they didn’t do anything you wouldn’t approve of. Spy clocks are becoming a more popular option these days. The great thing about clocks is, you can put them anywhere and they will generally belong. That way you can have cameras in a bunch of rooms without anyone becoming suspicious. Usually these will have a wireless camera that’s triggered by motion and sends the video feed over your wireless network. 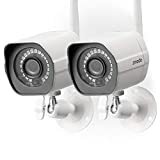 These cameras are usually built into an actual smoke detector and are usually more centered on home security than domestic surveillance. They have local storage on SD card versions and they have wireless versions that connect to your computer over the internet. If you’re really serious about capturing everything with a smoke detector camera, they have some with four cameras that can capture every angle. This is a type of camera that doesn’t come pre-disguised, but is built small enough and discrete enough for you to add it to your own appliances around the house and disguise it yourself. You can pretty much find these types of cameras anywhere. Generally it just has to be small and either run on battery or have a small enough power cord that you can hide it. Are Hidden Cameras for Home Legal? Hidden cameras for your home are legal in the U.S., but in some cases recording audio can be considered illegal. Generally for watching out for trouble around your house audio isn’t really needed. This is why hidden cameras are becoming more and more popular among parents and guardians. Most states in court are starting to lean toward making homeowners inform guests that they might be recorded inside their home, but for now it’s both acceptable and common. There are quite a few different features to consider when you’re looking for the type of camera to get. Some examples would be connection type, storage space or maybe the video recording quality. For this you’ll want to take into account where you will be recording. If you plan on recording video in a dark room, you might want to consider getting a camera that has night vision or heat vision. Also, if you plan on storing your video on the camera itself, you’ll want to make sure that the camera you get can be activated only when motion is detected. Otherwise you will need a very large SD card. If you want to watch the video live over the internet you will need an IP camera. There are a few things to know about IP cameras though before you go with this option. First, note that the setup on these types of cameras can be a lot more difficult and can require some technical knowledge. Second, you’ll need to make sure you wireless network can handle streaming high definition video over the network. If your network can’t handle it, you might notice a video delay and problems connecting to the internet on your computer. To solve this issue you may want to lower the video quality or upgrade to a DOCSIS 3.0 or higher wireless modem. If you’re looking to get serious about your home security, consider getting your home monitored by a professional through Protect America. Get a free quote here and make sure to ask about our latest camera deals!